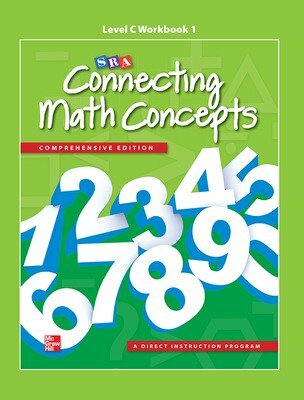 SRA Connecting Math Concepts: Comprehensive Edition has been revised for levels A-E and students in grades K-5. This program gives students who are at-risk of falling behind or who have already fallen behind the chance to catch up and learn significant mathematics. 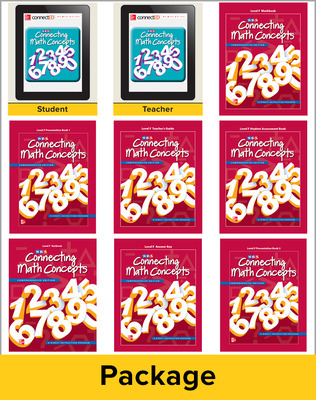 NEW digital resources with over 150 learning activities to differentiate learning! 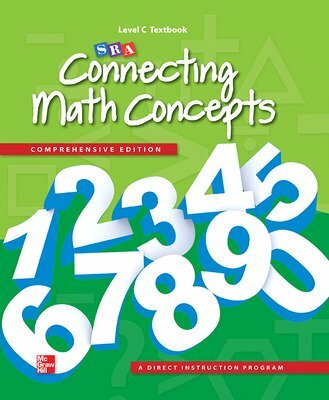 SRA Connecting Math Concepts: Comprehensive Edition is based on students understanding math skills and concepts that require making connections among related math topics and between procedures and knowledge. 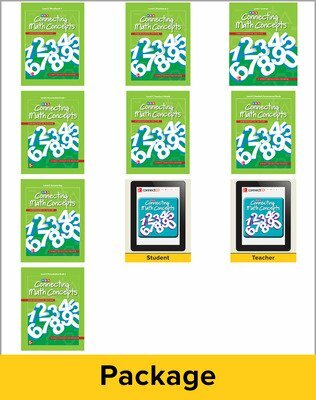 Offers step-by-step lessons that have been rigorously field-tested and shaped to meet the needs of students who struggle with math. 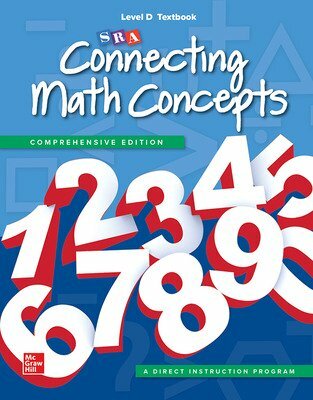 Teaches explicit strategies and processes that work in a variety of contexts to accelerate progress. Introduces key concepts over the course of multiple lessons - providing the time students need to learn, process, and buiold a deep understanding. Meets the math standards specified in the Common Cote State Standards. SRA Connecting Math Concepts: Comprehensive Edition combines facts, procedures, conceptual understanding, applications, and the development of problem solving to provide a comprehensive curriculum for students who struggle with mathematics. 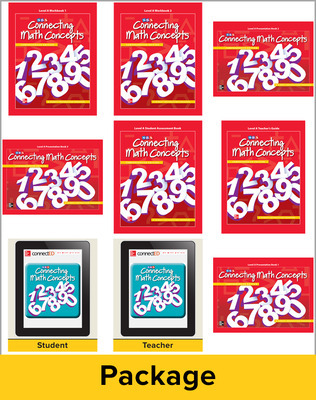 A coherent progression of key topics with an emphasis on proficiency ensures optimal learning and achievement. 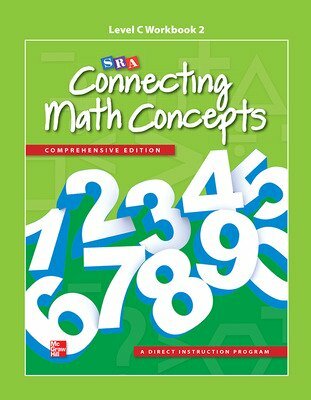 Explicit, teacher-directed instruction sets an expectation for student involvement and gives learners the direction and support needed to be successful. 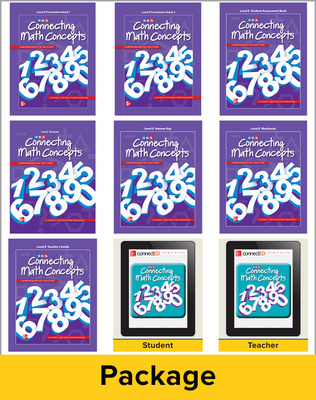 Ongoing assessment helps teachers identify and differentiate instruction to meet every student's needs. 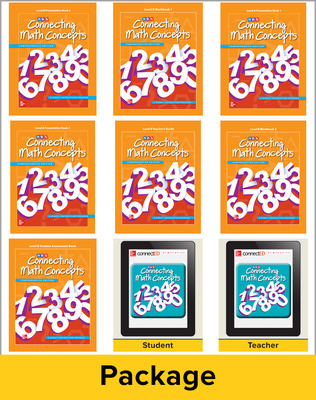 This convenient teacher portal powered by ConnectED features a set of easy-to-use online tools that will help you integrate technology into your classroom! Provide students time to practice and reinforce concepts, skills, and math facts with fun games! 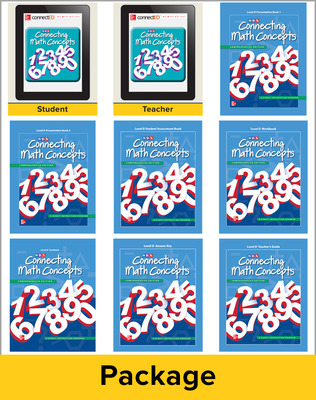 Levels A and B kit includes: Presentation Books (3); Teacher’s Guide, Board Displays CD-ROM, Workbooks 1 and 2, Assessment Book, 6-year access to online content via ConnectEd.